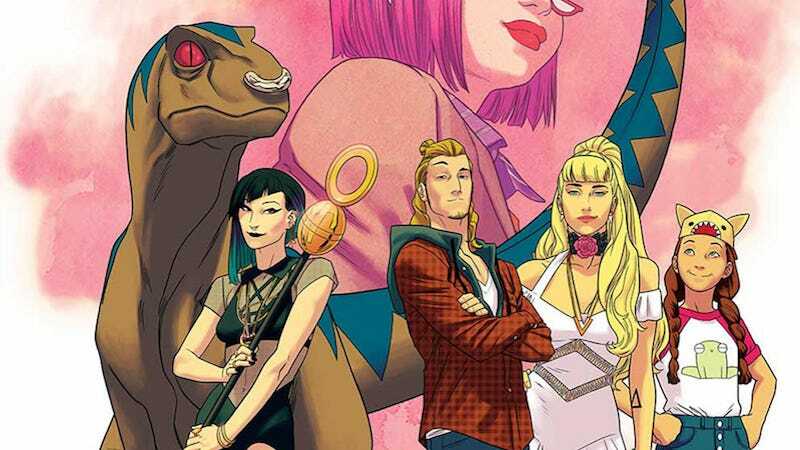 When the Runaways, Marvel’s group of specially-gifted children who run away from home after discovering that their parents are part of a supervillain cult, return in a new series this fall, writer Rainbow Rowell wants to make sure that you know exactly how to get into the series and have a good time. In a post published to her personal blog, Rowell described how she’s received a massive wave of e-mails and messages from new, young readers who are interested in her work, but are apprehensive about getting into comic books. Like the good spokesperson that she is, Rowell selected a few of the questions and answered them with the kind of care and thoughtfulness that—wait for it—might actually be the kind of thing that keeps new readers around. For instance, one reader asked, where does a person even buy comic books these days? Rather than giving a single answer, Rowell explained that brick and mortar comic shops are still a thing, digital purchasing is very in right now, and direct subscriptions are a more traditional option. Most surprising, though, was Rowell’s suggestion that readers also consider waiting for trade paperbacks where they can read entire story arcs from beginning to end, as opposed to in serialized form. In an age where big publishers like Marvel mercilessly cancel books after barely making an effort to advertise them, advice like Rowell’s is refreshing, and something that more marketing departments should be taking lessons from. Rather than relying purely on an aging audience of Wednesday warriors who always show up at their local comics shops, publishers desperately need to get better about finding new potential readers—and making it easier for them to engage with their brands. Comics marketing and distribution have been in a frustrating state for a very long time. It’s only just now that publishers seem to be willing to acknowledge that fact explicitly and actually try to do something about it, other than blaming women and people of color for dropping sales. What Rowell’s doing is fantastic and could be a sign of things to come if her methods prove effective.